Windows users are pointing fingers at Microsoft for presuming that they want to one day jump aboard the Windows 10 bandwagon. First reported by The Inquirer, one user spotted the BT folder that is home to images of the new operating system on his hard drive even though he has yet to 'reserve' a copy of the new OS. "The symptoms are repeated failed 'Upgrade to Windows 10' in the WU update history and a huge 3.5GB to 6GB hidden folder labelled '$Windows. BT'. I thought Microsoft [said] this 'upgrade' was optional. If so, why is it being pushed out to so many computers where it wasn't reserved, and why does it try to install over and over again?" he said. The same user went on to say that he knew of a couple of instances where the massive file caused users to go over their internet data allowance for the month. It's also a worrying development for anyone that owns a 2-in-1 with 32GB of flash memory or less as the tablet will, in all likelihood, run a lot slower with that amount of storage taken up. Microsoft's reply to the story basically confirmed that anyone with Windows Update turned to automatic updates is open to receive the file. "For individuals who have chosen to receive automatic updates through Windows Update, we help upgradable devices get ready for Windows 10 by downloading the files they'll need if they decide to upgrade," Microsoft said. "When the upgrade is ready, the customer will be prompted to install Windows 10 on the device." 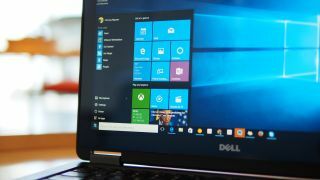 Even though Windows 10 has already been installed onto 75 million PCs worldwide, the install base of Windows is enormous and many won't want to upgrade to Windows 10 yet, if at all, thus making it a risky assumption for Microsoft make.